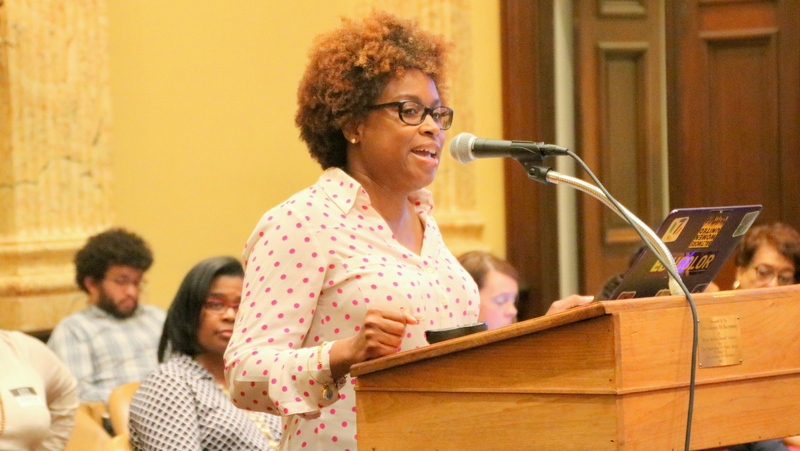 Amid criticism that a City Schools enrollment task force should have been open to the public and more diverse, two participants fired back yesterday. “No initial working group includes everyone. . . 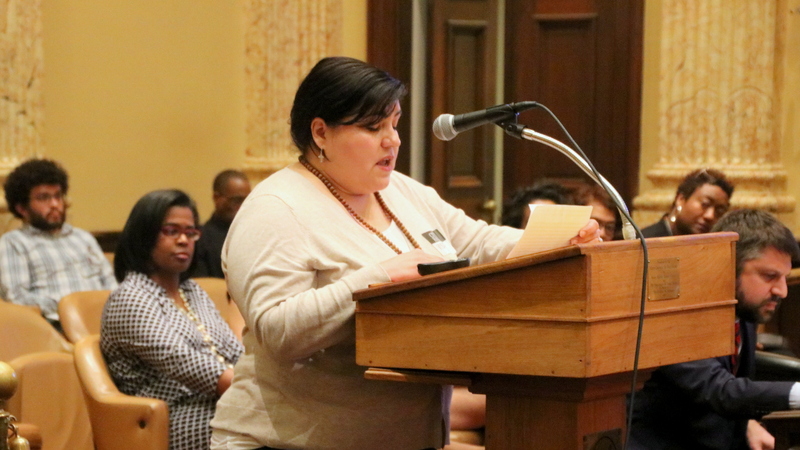 The intention was for this to be a springboard for further work,” said City School CEO Sonja Santelises, speaking at a hearing initiated by City Council President Bernard C. “Jack” Young. 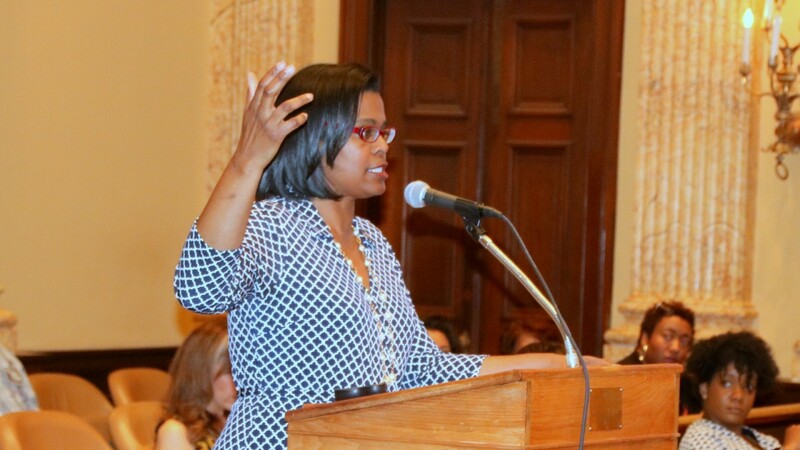 Noting that one third of the members of the 22-member group are people of color, Santelises said she has been committed to equity as she leads efforts to address the continuing decline in city school enrollment. Not in a mood to be so conciliatory was task force member Trish Garcia Pilla. “This hearing is overreaction and is seemingly just political grandstanding,” said Pilla, chair of the Parent and Community Advisory Board. “Good leaders know that we are all striving for the same outcome, that we work like a cohesive team, not fighting among ourselves and pointing fingers,” she continued. Also testifying was one of the parents who last week criticized the composition of the task force. “Developers, philanthropists and the corporate sector have had access to many backroom conversations before the people most impacted,” said Khalilah M. Harris, co-chair of the Coalition of Black Leaders in Education. “Likewise, some grassroots organization have been used as a checkbox or substitute for broad, authentic and deep engagement of families and community,” she continued. City officials at the announcement of a Topgolf facility proposed near Horseshoe Casino. Council President Jack Young is third from left, and Mayor Catherine Pugh is seated nearby. On one thing, though, Harris and Pilla agreed. Both said they were “disappointed” that Young left the hearing early. 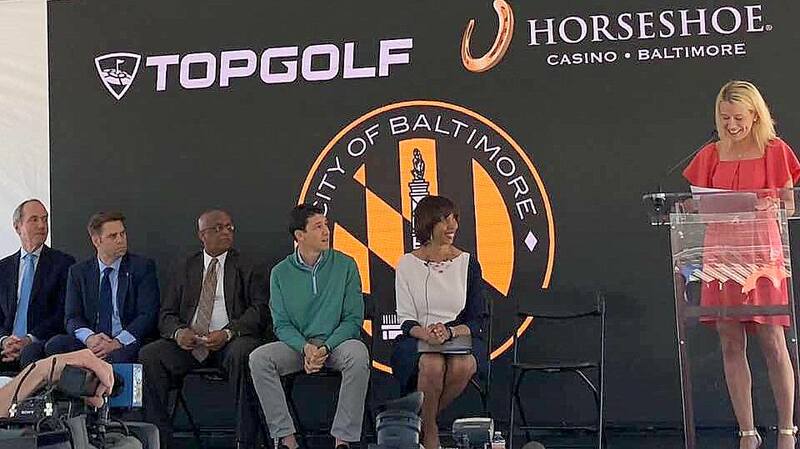 Photos on his Facebook page showed he was attending, along with Mayor Catherine Pugh, a media event at the Horseshoe Casino for a planned Topgolf entertainment complex between the casino and M&T Bank Stadium. Santelises gave Council members a brief review of efforts to address Baltimore city school enrollment, which last year hit a 10-year low. She noted that, while official numbers have not been certified by the state, the projection is that this year the school system lost 1,500 students. She said school officials will be looking to see if that is in line with city population loss and at other ways to gauge the data. While 5th or 6th grade has been typically the time when families leave the city school system – out of concern about the quality of middle schools – the trend was different last year. “It was second grade for whatever reason. Nobody knows why,” Santelises said. What else is known about who is leaving city schools and why? At City College, meanwhile, there’s a waiting list of 1,500 county students who want to get in. Council members pressed her on what those factors might be, asking for instance, the current drop-out rate. It is 14-15%, they were told. “So that could almost make up the gap right there,” said Councilman Kristerfer Burnett. To tackle this issue, is the school system bringing in “a professional group to do the numbers and look at the data?” Councilwoman Shannon Sneed asked.